Taylored Life: Audrey is 11 Months Old! Audrey is 11 Months Old! Yes, another month has already gone by. Audrey is now 11 months old! She started walking early in her 10th month and is practically running now. She knows when she's doing something she's not supposed to, so when she sees one of us coming, she takes off in the other direction. I wonder where she learned that...Jackson perhaps? Some of her favorite, mischievous activities are splashing in Bailey's water bowl, chewing on anything she finds, and climbing the stairs. 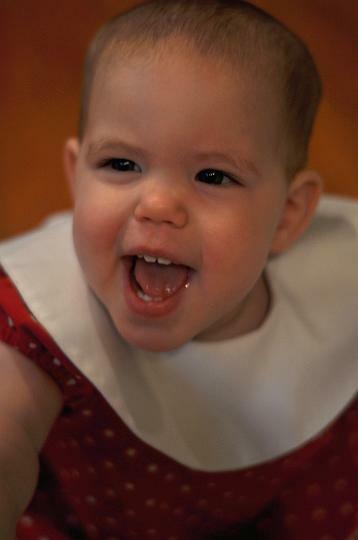 Audrey now has 7 teeth, and she knows how to use them! She has gone down to three bottles a day and is eating table foods really well. She likes to chew on anything and everything, which has recently turned into biting people. We're working on breaking that habit, but just like her brother, she thinks it's funny! Quiet is not a word I would use to describe Audrey anymore. She is very vocal and seems to be on the verge of learning a few words. She still loves to watch and learn, but when she's ready, she lets you know! Her personality is really starting to show, and we can tell she's going to be a lot of fun! 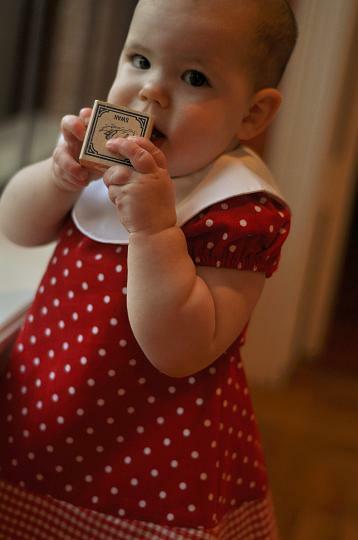 There are a few more pictures of Audrey dressed up for Valentine's Day in the album. 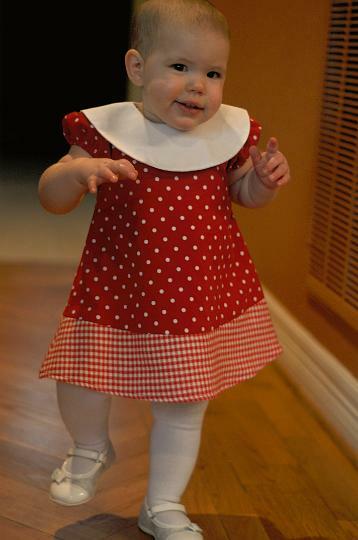 Thanks for the adorable dress, Mom! President's Day at the Zoo!